Iran’s Deputy Foreign Minister for Arab and African Affairs Hossein Jaberi Ansari has held separate meetings with his Syrian counterpart Faisal Mekdad and Syrian Foreign Minister Walid al-Muallem on Wednesday. Jaberi Ansari and Syrian FM Muallem conferred on the latest developments in Syria as well as the future plans of Tehran and Damascus in different fields including the fight against terrorism in the Arab country. Muallem praised the Islamic Republic of Iran’s role in establishing peace and stability in the country, and appreciated Tehran’s political support at the international level, particularly during the bilateral and multilateral peace talks in Astana, Kazakhstan. The Iranian diplomat also held talks with his Syrian counterpart Mekdad. 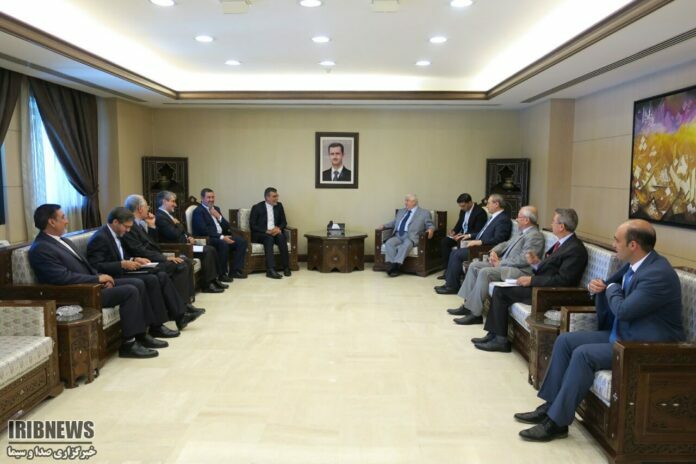 The two sides discussed the latest developments in Syria in a meeting of the Iran-Syria Joint Political Committee. They talked about the most recent developments in Syria and the political and diplomatic efforts to resolve the ongoing crisis in the Arab country. The Iranian and Syrian diplomats particularly discussed the issues raised during the Astana Process and Geneva Talks and the agreement on a ceasefire in southern Syria, and made the required arrangements. Bilateral ties and mutual cooperation between Tehran and Damascus were also touched upon during the meeting. The meetings between the Iranian and Syrian officials were held as part of the international efforts to restore peace to Syria including the latest round of Astana talks, the agreement on a ceasefire in southern Syria, and the Geneva Talks. Jaberi Ansari, who is also the chief Iranian negotiator at the Astana Process, arrived in the Syrian capital on Tuesday night in a visit aimed at following up on the latest international negotiations on the war-torn Arab state.